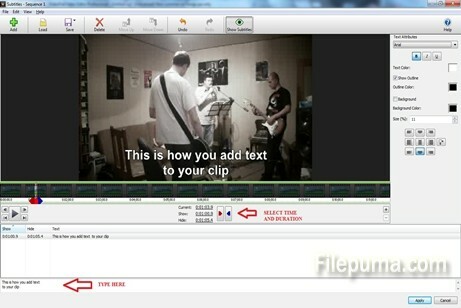 How to add text to any video clip with VideoPad Video Editor? Video editing is sometimes tricky because many software programs are a little bit too complex for everyone. However I can tell you how to do that with a free software called VideoPad in just a few easy steps. 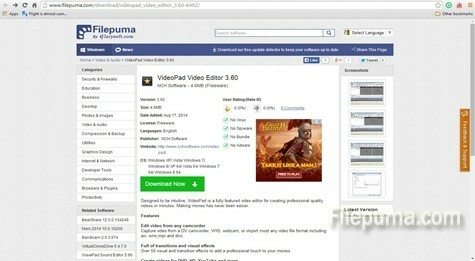 Step One: Download the free application from Filepuma.com by clicking on the green “Download Now” button. 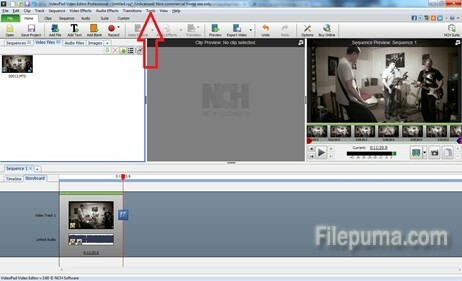 Step Two: First you need to drag and drop your video clip in the area indicated in the picture below. Step Three: Click on tools and select the first option, “Subtitles”. 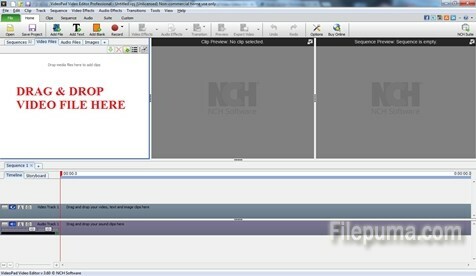 You can do the same thing pressing Ctrl + Shift + L.
Step Four: A new window will appear with your clip on the main frame. On the right you have the font settings, size of the text and the position on the screen. Right below the video you will see a time bracket. That is where you select the moment when the text starts shows up and the moment is disappears. You don’t need to bother with the mouse. If you click on the time you can edit it. On the lowest part of the screen you just input the text. It’s pretty easy now, right?